2019 marks Cia Paulista Australia’s 10 Year Anniversary and so it’s time to celebrate. Coaches from across our affiliations will be sharing their knowledge with all the CPABJJ team mates - Adults, Teens & Kids are all invited and encouraged to participate. All attending must register below, one registration per student. 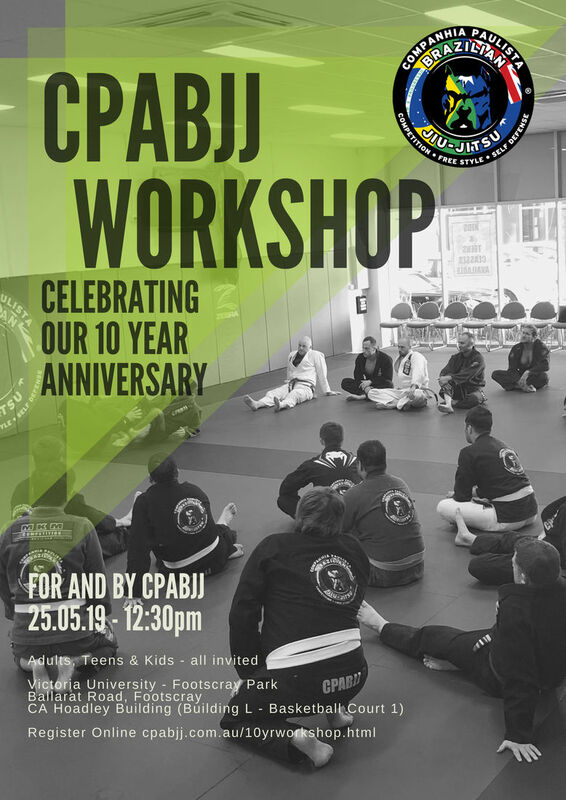 Confirm your presence via our CPABJJ 10 Year Workshop - Facebook Events Page page and stay up to date. For more information please email us on info@cpabjj.com.au or see your coach.